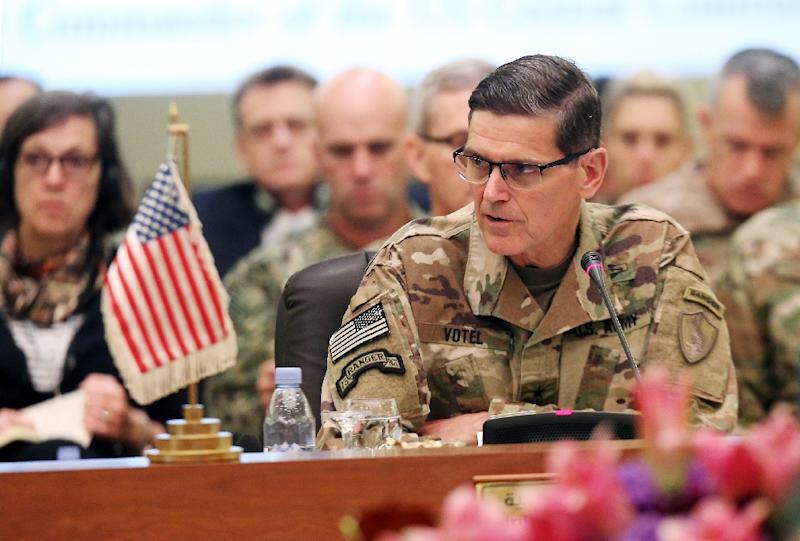 Kuwait City (AFP) - US Central Command chief General Joseph Votel urged feuding Gulf Arab states on Wednesday to put aside their differences and unite against Iranian efforts to "destabilise" the region. "Two of our enduring security threats are present in this region -- the destabilising actions of Iran and violent extremist organisations," said Votel, who heads US forces in the Middle East, ahead of a military conference in Kuwait on Wednesday which is to be attended by Saudi Arabia and its allies, and their bitter rival Qatar. Votel said it was "imperative" to "enhance and integrate our capabilities for our mutual national security interests" and "rise above all the other aspects". In June 2017, Saudi Arabia and its allies cut all ties with Qatar, demanding that their erstwhile ally cut longstanding ties with the Muslim Brotherhood and take a stronger line with Saudi arch-rival Iran. The rift has proved a strategic headache for Washington as Qatar provides the main headquarters in the region for CENTCOM while rival Bahrain is home to the US Fifth Fleet. Kuwait, which along with Washington has led mediation efforts in the crisis, has said it is considering US proposals for a regional alliance to counter Iranian influence.